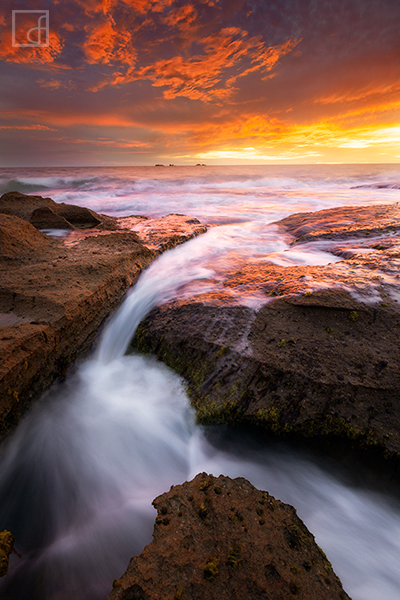 This photograph of Burns Beach reflects on what was a spectacular evening. The conditions were brilliant! The stunning colours were so intense, a real challenge to photograph. I was in a rush as I left to head out this particular evening so ended up here in a singlet and shorts.. rather cold. I realised as I was leaving I didn't notice the cold the entire shoot. I was so absorbed in this spectacular light display. It is moments like this that I live for, awesome light, a beautiful scene and for a moment, not a care in the world. Secure your limited edition, Burns Beach photographic print, 'Eternal Light', by selecting your desired print size in the menu to the right.